Color matched to the '09-'10 RSV4 Factory but can be used on anything. Delivered exactly as seen in the photo. Decals appear grey because of the protective transfer sheet. 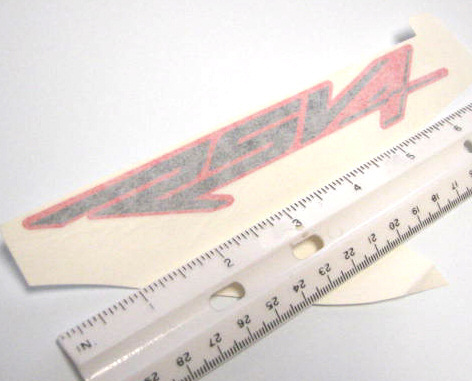 RH fairing decal "RSV4" - 893765 Color matched to the '09-'10 RSV4 Factory but can be used on anything.